But what I actually wanted was just like the other character's which includes.. star coins, stars a score and so on. But I guess this should do the job (instead) as there is a "/" at my topic's title. xP Thanks 'chap. Double post for reasons. Just made a playthrough of TGSMBX38ALC2. Topic: [please move it to the right section] how to give credit? Re: [please move it to the right section] how to give credit? i'd say you can do any of your choice but i guess you could name the creator in the post. plus i'd say this topic should be in smbx 38-a's general section. i know this kind of question was being asked a lot but i have a question about it. all explanations are in this video. Topic: Hi guys, Im "D_S_I_" and "Toxicity(Past use)" on discord. Re: Hi guys, Im "D_S_I_" and "Toxicity(Past use)" on discord. Topic: Super Mario Odyssey Cappy Please! Re: Super Mario Odyssey Cappy Please! ^ Lx Xzit is also working on an Odyssey script too but I'm pretty sure his version is made from scratch. 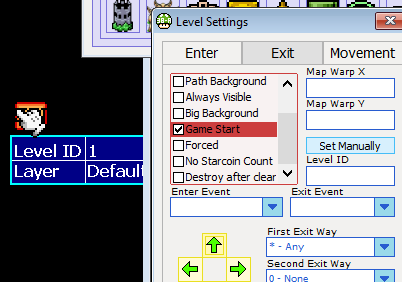 i dont consider that as a cutoff tbh because since there is no edge corners for some smb3 tilesets. Bigadre wrote: Why is that? EDIT: Excuse me for triple post..
Hey fellas, guess what? Demo 2 has been released! Sorry for the long wait, if only you guys are being so patient. So uh, click here if you're episode or demo hungry. Apparently there are some levels that are incomplete so keep that in mind. Jackson455 wrote: is the SMBX38A abandoned now? We're not entirely sure if it was or not. Legend says that 38A already got insulted a lot. However that either nescessarily or not means that the engine itself got abandoned. Topic: I keep getting logout from the forums lately.. I keep getting logout from the forums lately..
EDIT: oh wait it's a tie. EDIT 2: I made a video of my reaction to this contest's review so watch if you want.